With a growing increase in pin point weapons that can destroy entire cities one begins to wonder if Infantry will become obsolete. Already satellites can count eggs on a table. Technology is only going to make them more accurate and reliable. When orbital weapons satellites become a reality there will be a great many changes in the way wars are fought. If a satellite can count eggs on a table it shouldn’t have any problem locating a tank. If the tank can be located a cruise missile with a nuclear warhead would certainly take it out, along with all the other tanks nearby. When starships control space and can obliterate cities with their weaponry it is unlikely infantry will become obsolete. Until nations are willing to eradicate each other with weapons of mass destruction, they will need a force to fight the enemy at a lesser scale. For instance. The United States could easily have turned Iraq into a radioactive parking lot and they could have gassed all the Iraqi’s in Kuwait, or a combination of the two. However, because women and children were involved (especially in Kuwait), the glowing parking lot technique wasn’t popular. Even Iraqi civilians were not considered expendable. All the bombing in the world couldn’t have forced the Iraqi’s out of Kuwait because one way or another food would have to enter the city or a lot of women and children were going to starve. Ground troops had to enter Kuwait and make sure no Iraqi soldiers remained to threaten the Kuwaiti’s. Satellites would have a difficult time tracking people in a city, especially a city like New York or London. Satellites could easily track units in the desert, if the weather remained clear. Satellites would have a very difficult time tracking guerrillas in the jungle. Either way, someone is going to have to go in and make sure the enemy is gone. If the enemy is not gone then he will have to be killed or driven off. Of course robots could be used but there are many human factors involved and that option is still a long ways off. There are too many moral and ‘human’ type decisions to make. 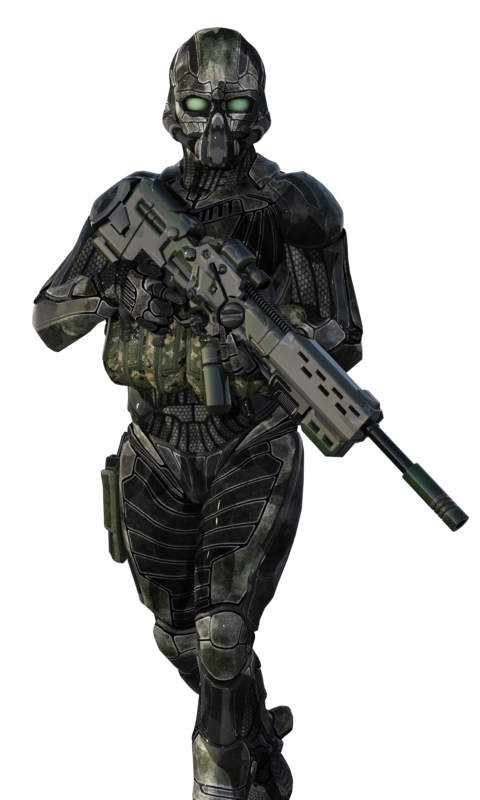 Human soldiers will remain an extremely versatile fighter, capable of protecting a population as well as enslaving one. Human soldiers can enter houses to search for weapons or enemy troops. Tanks cannot, fighter craft cannot, missiles cannot, Robots would just bring their own problems. A virus uploaded into its memory, HERF, EMP, lack of versatility, ect. Massive warbots (aka Bolo’s) could obliterate a city but they can’t capture it intact. They can’t enter a house in pursuit of a war criminal and they can’t pursue the enemy into caves and until the powers that be can develop such robots, human infantry will not become extinct. Traditionally, infantry units have fought where other units couldn’t go. Mountains, jungles, and other types of rugged ‘impassable’ terrain are considered infantry terrain and infantry are the easiest kind of troops to produce. Tanks have a difficult time in the woods, most jungles render a tank useless and mountainous terrain is no friend of the tank either. Tanks can survive in cities, in fact they are excellent in cities, but they are often restricted to roads and fields. If a tank doesn’t have infantry to protect it in a city then the tank is toast. Infantrymen, and infantry alone, are the ones who decide whether or not the war is won. Tanks, ships, jet fighters, bombers, attack helicopters, artillery and cruise missiles are just tools to make the infantryman’s job easier. In World War 2, Korea, Vietnam and Desert Storm, hundreds of thousands of tons of bombs were dropped on the enemy and although they helped influence the wars the bombs did not decide the wars. The job of the infantryman is one of the hardest ones. He is the prime target and he is the one who ultimately, decides who wins. In a war of genocide infantry could still be useful for capturing things. Infantry would be needed to board an enemy ship so it can be captured and studied. Infantry might be the only ‘weapon’ capable of infiltrating and capturing (or destroying) a key enemy installation. Infantry could gather information about the enemy and his equipment. It would be unlikely infantry would be used to capture a hill held by an alien race when orbital weapons mounted on starships could simply flatten the hill along with all the bad guys on it. Why waste troops? As the weapons and equipment of a military become more advanced, the infantryman will have to become more adept at evading attention or he will become extinct.